U.S. forward Casey Mittelstadt was voted the Most Valuable Player of the 2018 IIHF World Junior Championship by the media. The 19-year-old centre from Edina, Minnesota had 11 points for the bronze-medal Americans (4-7-11) to lead the tournament. As a 2017 first-round draft pick (eighth overall) of the Buffalo Sabres, he was a fan favorite at both KeyBank Center and the 29 December outdoor game at New Era Field, where the U.S. beat Canada 4-3 in a shootout. 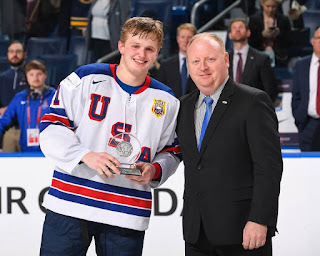 Mittelstadt was also named Top Forward and a tournament all-star along with fellow American Kieffer Bellows, who led the World Juniors with nine goals. Silver-medal Sweden also had two players receive Directorate Awards and all-star berths: goalie Filip Gustavsson and defenceman Rasmus Dahlin. Forward Filip Zadina became the first Czech all-star since goalie Petr Mrazek (2012). 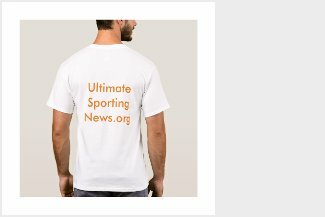 Total tournament attendance for 30 games in Buffalo was 211,210.